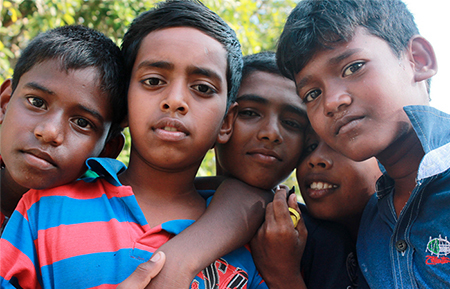 Lasallian education empowers students to become whole persons—intellectually, socially, emotionally and spiritually. This preparation for a full and rewarding life is grounded in the belief that God is a living presence in all our lives and it is guided by the five core principles that influence everything we do. 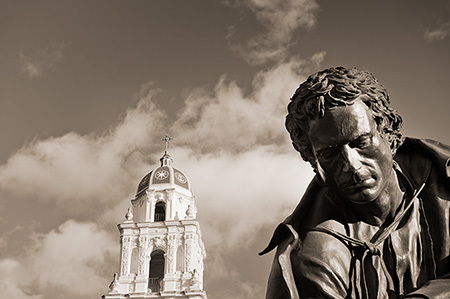 De La Salle Week celebrates the life of Saint John Baptist de La Salle (1651–1719), founder of the Christian Brothers and our Lasallian heritage and mission. The spirit of Saint John Baptist de La Salle inspires not only our students but also our faculty and staff, who have numerous opportunites to engage in service and learning to enrich their work and their lives, and also expand their understanding of Lasallian traditions. Lasallian education is inspired by the life and works of St. John Baptist de La Salle, an educational pioneer in 17th-century France who created the Christian Brothers, a religious congregation of men devoted to teaching. 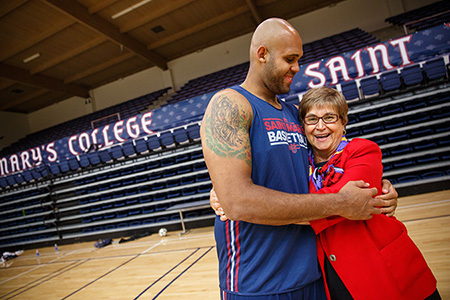 Sister Dolores Montini, CSJ is a member of the Mission and Ministry team and the chaplain for Athletics. She believes in what she calls "the theology of presence"—just being there for the extraordinary human beings who are our athletes. "Your presence makes the biggest difference in people's lives. When they see that you are present, they know that you care," she says.